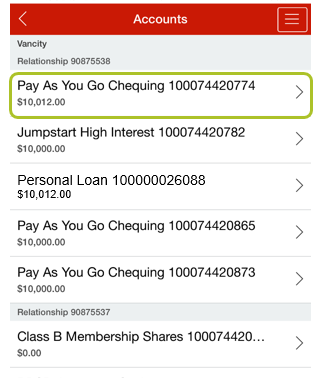 How do I find my branch/transit number, financial institution number and account number? 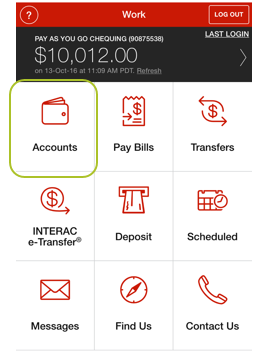 Your branch/transit number, financial institution number and account number can all be found on a cheque, in online banking or in our mobile app. 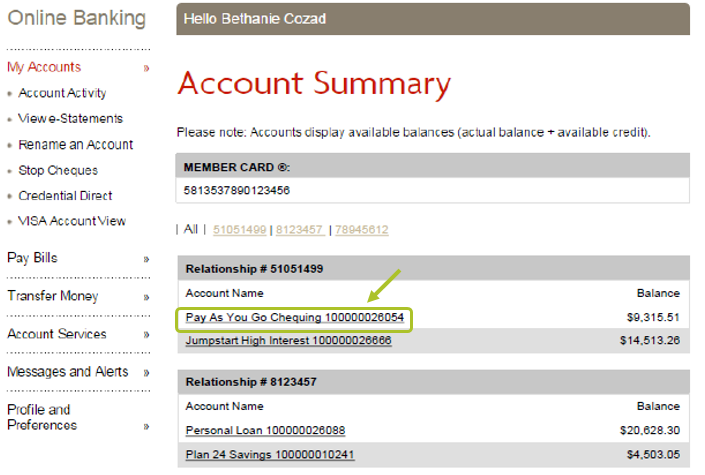 You may be asked for these details when setting up a direct deposit or an automatic bill payment. 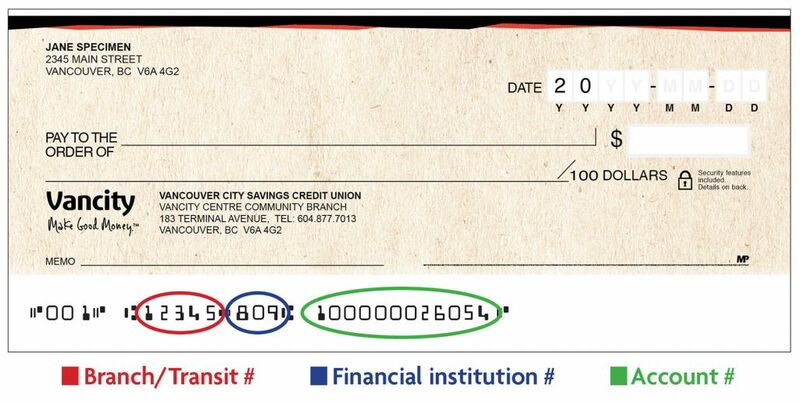 If you do not have a cheque or access to online banking, please visit your nearest community branch or call 604.877.7000 (toll-free at 1.888.826.2489) for assistance. 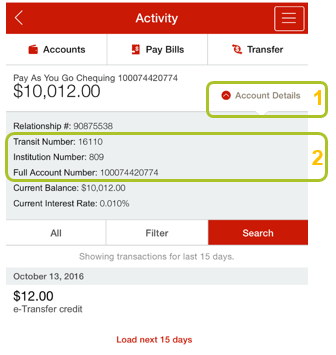 What’s the number beside each of my financial accounts?